The web version of this article corrects a few errors that appeared in the print edition. Himachal Pradesh has initiated a number of projects to tap its hydropower potential, some of which will submerge parts of protected areas. To examine the implications of moving towards "green growth", this study examines the costs and benefits to the state if two hydel power plants in which reservoirs will submerge protected areas, including sanctuaries, are not undertaken. It estimates that the gain from conservation-based growth is considerable compared to the cost of going green. A tribute to the economist, Elinor Ostrom, who went far beyond the public-private goods dichotomy to understand the evolution of societal frameworks and develop the institutions and development framework. She challenged the notion of "tragedy of the commons" and her fi eld experiments helped understand in some of the critical tenets of institutional analysis to provide the rationale behind citizens' abilities to craft institutions to cope successfully with commons in some settings though not in others. Nobel laureate Elinor Ostrom's passing away is a major loss to academia and for all those committed to the idea of the "commons". In the context of development and its impact on the environment, we need to understand "change", the kinds of change that systems can absorb, the "good" change and distinguish it from the "abrupt" change which systems cannot cope with. We also need to understand how to increase and sustain the capability of people, economies and nature to deal with change. And for this, science, policy and practice need to fashion modes of working together. They are themselves three components of a structure that can help us to move forward in a sustainable and dynamic manner. The argument here is that a systems approach using some notions from resilience theory will provide pointers towards how this can happen. The Nobel Prize in Economics co-awarded to Elinor Ostrom marks a rare departure from the traditional approach of the selectors which hitherto has been characterised by adherence to sub-disciplines more explicitly recognised as falling within the discipline of economics, rather than those that govern an economic system from its exterior, created at the interface of political economy, economics and social anthropology. 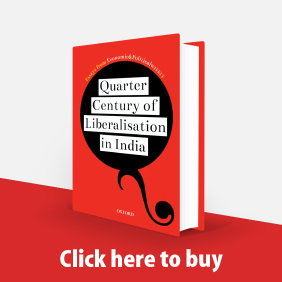 This essay is a tribute to her work taking into consideration the implications of her thought in the context of governance of commons in general, and in south Asia in particular. Some recent studies on forest-based common pool resources have interpreted situations in which households choose to spend time on collection from the forest commons for sale and value addition as an income enhancing activity that is independent of the common's role as a safety net. 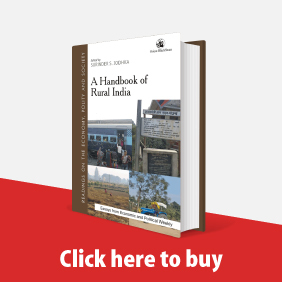 This paper tests for the hypothesis by distinguishing between non-timber forest produce for sale and for self-consumptions, using the National Sample Survey Organisation data for a sample of 78,000 households in Bihar, Karnataka, Madhya Pradesh and Maharashtra. It finds that households collecting only for sale purposes are not likely to be income poor. They may collect because they have more secure property rights, greater access to forests and/or markets and may even be asset rich. An overview of the Millennium Ecosystem Synthesis Report, which took five years to prepare and discusses on changes over the past 50 years in the ecosystems of the world. 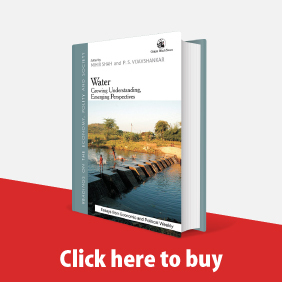 Projections of water demand and supply based on various scenarios provide a backdrop for examining the relevance of alternative interventions to achieve sustainable use of India's water resources. Policy interventions in the water sector need to address the conservation and better use of water by correcting instruments that have resulted in inefficient use of water and pollution of water bodies. Adoption of such interventions must involve a wider dialogue within civil society and a study of the knowledge available from around the world. 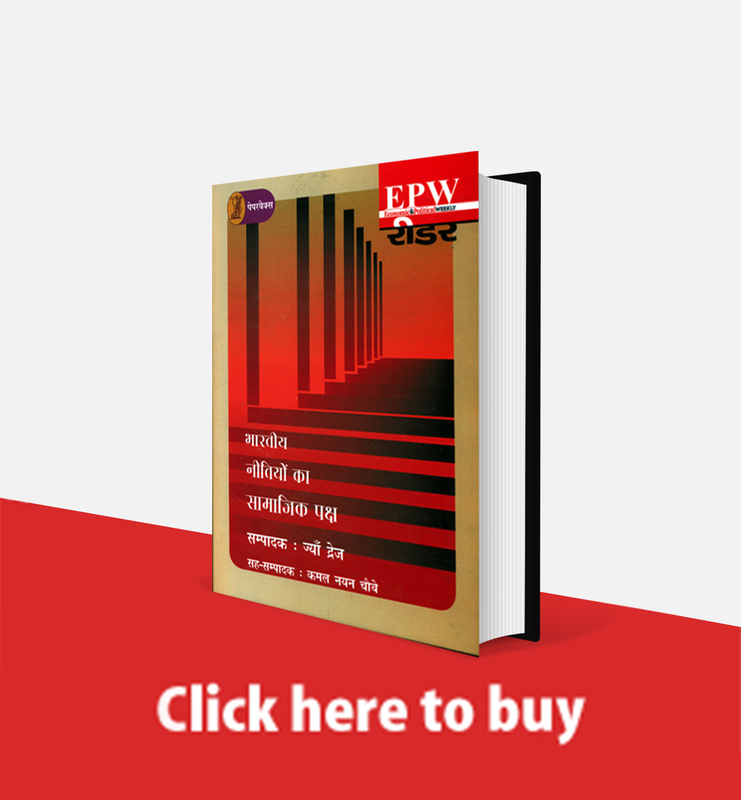 The precise nature of the creation of social capital and the role it plays in furthering development interventions at local levels as well as the nature of interaction between new institutions and older formalised networks need to be more clearly understood to bring on enduring development. An evolving and increasing stock of social capital forms a necessary input for sustained development. 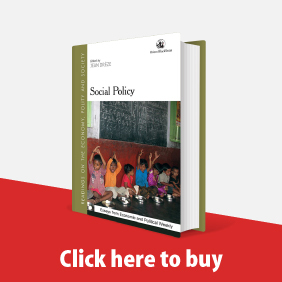 This paper draws on three developmental interventions in different parts of India to examine concepts of social capital, and its role as an index of synergy between agents located in different formal sectors.